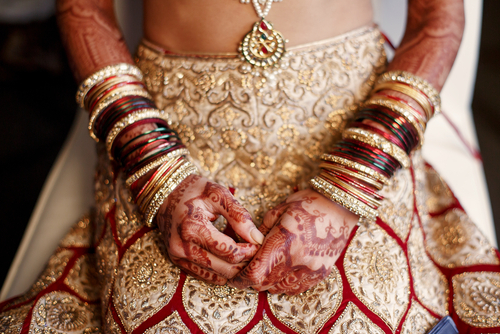 How Much Should YOU Spend On Your Wedding Lehenga? 9 Tips! Wedding lehengas are an expensive affair. No matter which store you go to, it’s hard to find a lehenga that’s anywhere less than 25,000 - and that’s probably the lowest figure you’ll come across! Shaadi lehengas easily run into lakhs and that sure is a huge sum of money for an outfit. But well, it all depends on you and how much are you willing to spend on this special ensemble. But before you make the big decisions, here are a few important tips about budgeting for your bridal lehenga right. Keep these in mind to help find your dream lehenga in your budget! First things first, you need to make up your mind whether or not you want a designer lehenga. 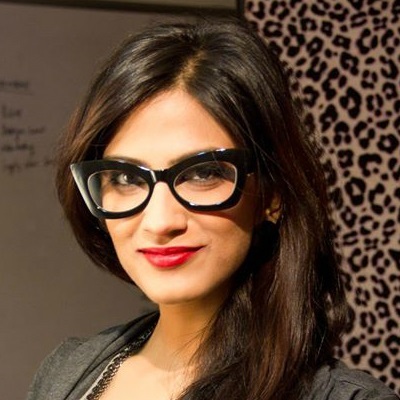 Will you only wear a known designer or reputed brands or are you ready to explore lesser known boutiques and famous wedding markets like Chandni Chowk and Lajpat Nagar? If you’re looking at big names like Sabyasachi, Manish Malhotra or Tarun Tahiliani, be prepared to shell out a lot of money. Bridal couture for these well-known names begin anywhere between 2 to 4 lakhs and go up till… Well, sky’s the limit! Designers who are just about starting out, popular stores in upscale markets and those quaint little boutiques. This is where a large number of brides shop from. If we had to give you an approximate cost, we’d say that prices usually begin around 50K to 60K and go upto 2 - 2.5 lakhs. Also read: 7 Questions Every Bride Has About Lehenga Shopping – Answered! 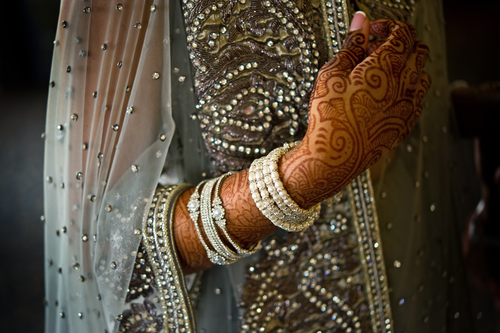 We’re talking about the smaller shops, wedding markets such as Chandni Chowk (Delhi) and Mangaldas Market (Mumbai). You could easily bargain your way to a wedding lehenga starting at 20K to 25K and they usually don’t go above 80K to 90K. While some women are okay with machine work, there are others who would only and only go for intricate and detailed hand work. Machine embroidery obviously costs a lot less than hand embroidery. If you’re specific about the craftsmanship that goes into your wedding lehenga, be prepared to pay extra for it. The overall look of your outfit, the fall of the lehenga, it all largely depends on the fabric used. Fabrics such as raw silk, chanderi, velvet and benarasi look rich and are costlier than net and georgette. A good quality fabric also ensures that your lehenga lasts for years to come. But then again, it’s a personal choice and nowadays you even have a lot of mixed fabrics in the market. Do remember, that this is yet another factor that determines the cost of your lehenga. Also read: The ULTIMATE Guide To Online Shopping For Your Trousseau! Lesser the work, lesser the cost. Makes sense right? If you’re looking at a heavily embellished outfit with intricate work on the blouse, dupatta and the skirt, it sure will increase your cost. A lighter lehenga on the other hand will turn out to be cheaper. Depending on your budget, you can opt for simple customizations that may help reduce the cost. From reducing the width of the border by one inch to opting for light booti work on the blouse, you can save big bucks. 8. How about the jewellery? 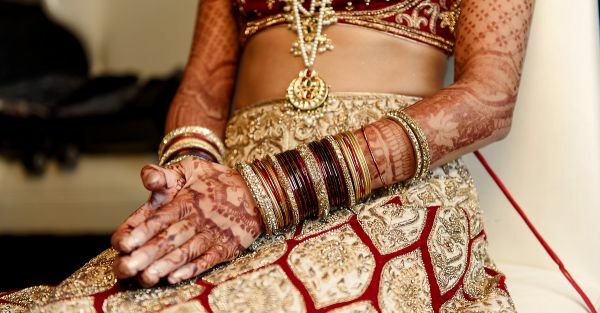 How much should you be spending on your wedding lehenga also depends on the budget of your jewellery or how heavy it is. If you’re already spending a lot on your jewellery or wearing a heavy set, you might want to go in for a subtle outfit. Not just to reduce your overall expenditure but also to tone down your look. And do remember that while jewellery is an investment with returns, your outfit is not. 9. Will it ever be reused?